and Broadcast Excellence Award winners. The MAB Broadcast Excellence Awards program is Michigan’s premiere broadcasting competition and awards show. 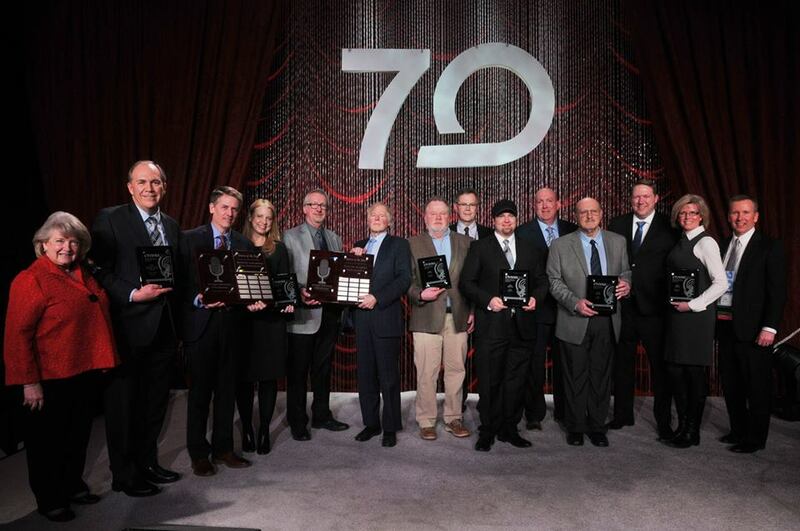 Stations from across the state compete against a standard of excellence in various categories designed to showcase the best materials that Michigan broadcasters have to offer. The Broadcast Excellence Award Ceremonies at the conclusion of the Great Lakes Media Show each year. This annual competition is open to all commercial stations, public stations and statewide broadcasting networks based in Michigan. Commercial stations may only enter in the Commercial categories and Statewide Broadcasting Networks are eligible to enter in all Commercial categories. Only stations receiving Corporation for Public Broadcasting (CPB) funding may enter in the Public categories. Public stations are defined as a station licensed to operate as a non-commercial broadcasting station with primary studios and FCC authorized broadcast operations in Michigan and in partnership with another entity or itself meeting the then applicable minimum qualifications established by the Corporation for Public Broadcasting for Community Service Grants, as adjusted from time to time.